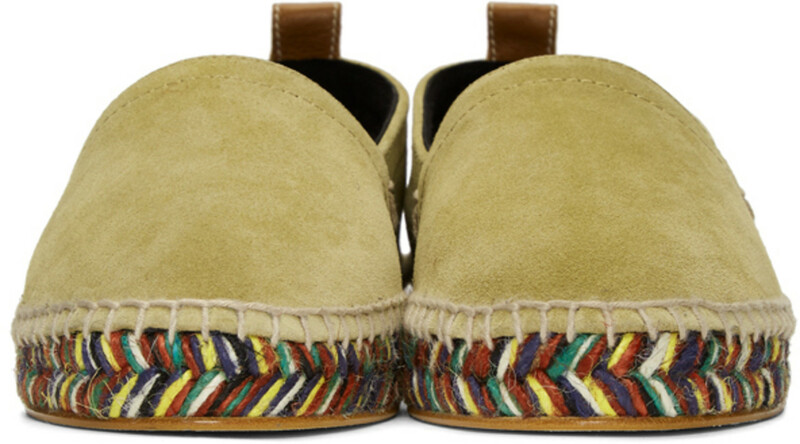 I live in New York City so its definitely very early to be speaking of espadrilles but it may be just the ticket depending on where you live or any trip you may be taking soon. 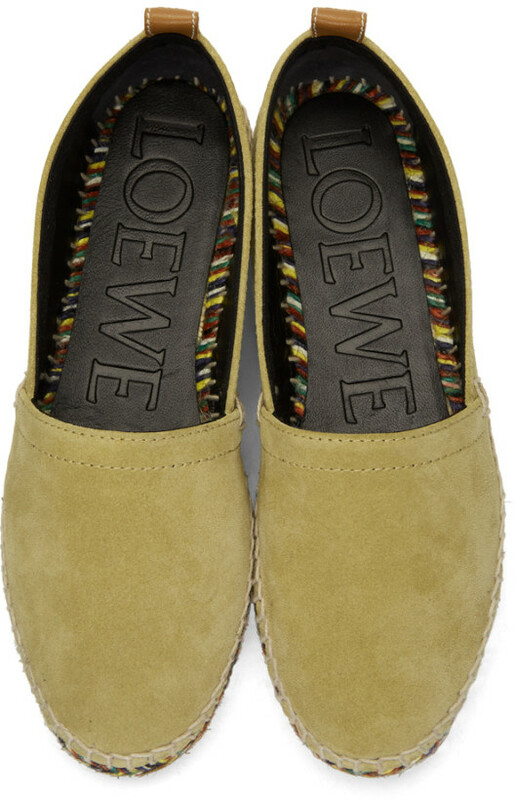 Loewe has got a sweet one on tap for you. 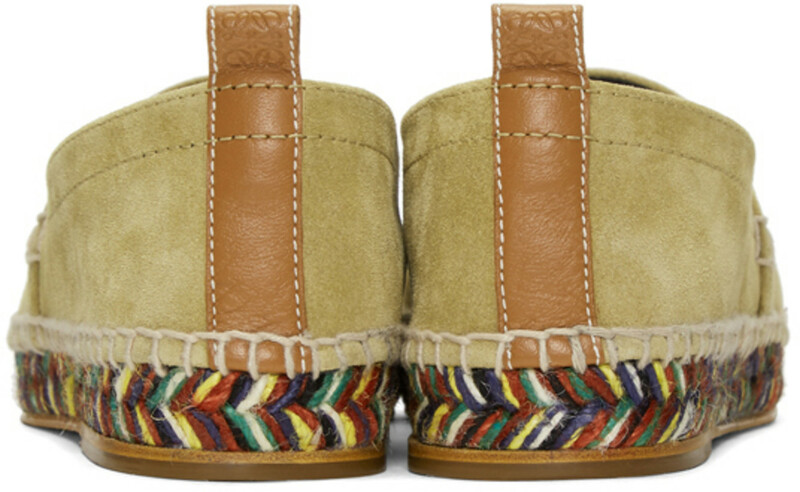 Their Tan Multicolor Sole Espadrille is a nice eclectic walk into buttery suede, leather lining, colorful yarn woven above the rubber sole and it features a caramel leather heel pull tab. Espadrilles are nice to dress up or down but they do scream resort or vacation so you may just want to have a pair on hand for the Summer/vacation season's adventures. Available now at Ssense.com.